Well what it depends on can be categorized into: time, place and occupation. It has been well written that your model can be like an actor on the stage. When seen, he or she should look and act the part in order to be convincing. After all that’s why that amazing detailing is cast into the model. So one purpose of weathering should be to bring out that detail. Sometimes I’ll use PanPastel to highlight some details on an added part like a brake wheel just to make it pop. You know, more visible. Military modelers use dry-brushing of a white or lighter color on the edges of surfaces just to bring out the highlighting of the sun. The more than 90 colors of PanPastel are great for this too. Think about it. 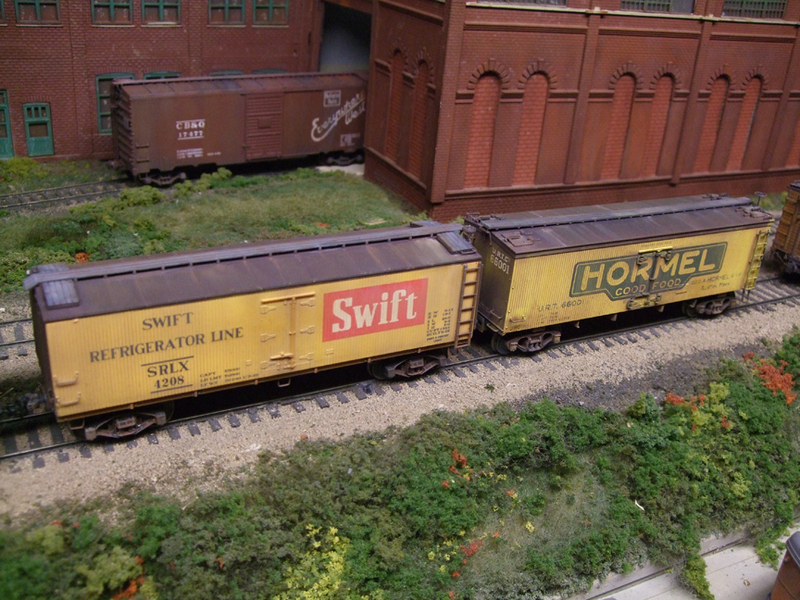 A Yellow or Orange refrigerator car can have highlights of a lighter shade of that color to show the same effect. The sun will fade a color and this is a great way to show variation in a wood side or just tone down the brightness of a freshly painted model. The traditional eras of railroad modeling are Early Steam or pre-Depression, Steam Era generally 1930 to 1950, Baby Boomer 1960 to 1980 and The Modern era which takes in a very broad range. The Steam Era is defined by lead based paint on wood cars which weather differently than a modern steel car with a non-lead base paint and let’s not forget graffiti. Like it or not it’s there and does get modeled. Modern cars generally rust more heavily than earlier periods of time.